« What’s on your plate? This entry was posted on March 29, 2016 at 9:36 pm and is filed under Fishing, Fly Tying, Uncategorized. You can follow any responses to this entry through the RSS 2.0 feed. You can leave a response, or trackback from your own site. Great stuff Tim. Very logical explanation throughout, even I understood the maths. Season just kicking off in Devon. Swallows at Fernworthy on Monday afternoon. 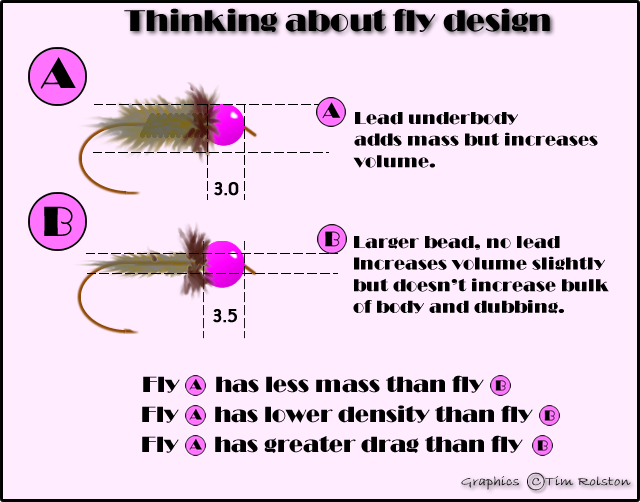 Some interesting thoughts here Tim… What I do wonder about is whether the presence/lack of lead influences the way the fly sits (and sinks) in the water. My instincts tell me that a heavy headed fly is going to nose dive towards the bottom and fish in head up-head down fashion.Whereas a full lead body may provide a more balanced look when in the water. 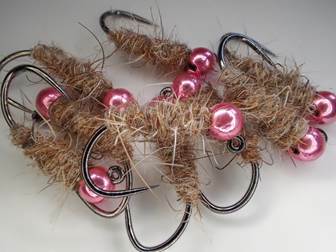 Then again, when tying balanced patterns one needs to actually extend the shank for the bead head to ensure it balances correctly so I guess the weight of the fly lies in the bend of the hook. Your thoughts? Tied on a jig hook I think , without any great scientific study, that the fly would sit fairly level once at fishing depth. 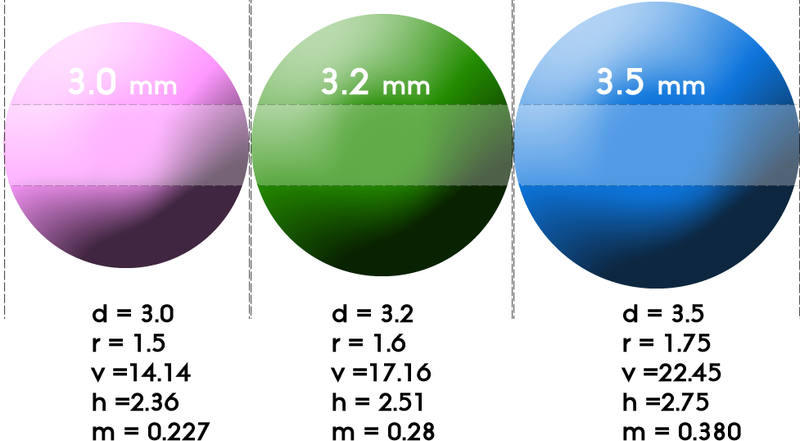 However I agree that there are multiple parameters that one can consider. Really this article was purely about the addition of a small amount of mass and a large amount of profile, which I consider to be more than likely counter productive when t comes to sink rate. Thanks for your input.